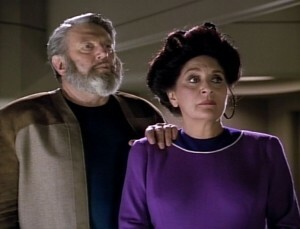 Dr. Dalen Quaice, an old friend and mentor of Dr. Crusher’s, arrives on Enterprise. Still mourning the recent death of his wife, the elderly man mulls over the worst part of growing old — losing the people you love. 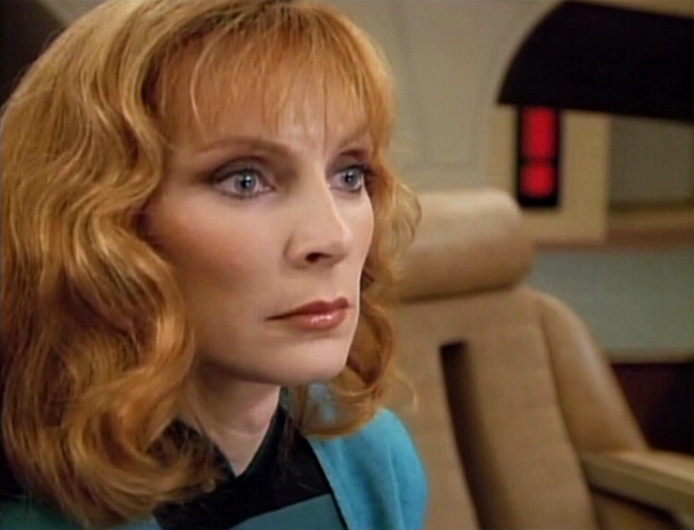 This cheery conversation drives Dr. Crusher to visit her son, Wesley, at work in Engineering. The young ensign is messing around with Dr. Kosinsky’s warp field equations. His attempt to create a new field fails, with an unexpected flash of light. On the upside, it seems like his mom didn’t stick around to watch, and all systems are back to normal. Young Jake Potts’ practical joke on his younger brother, Willie, ends in tears when Willie ends up infected with dangerous parasites. That’s it, vacation’s over! We’re turning this ship around. 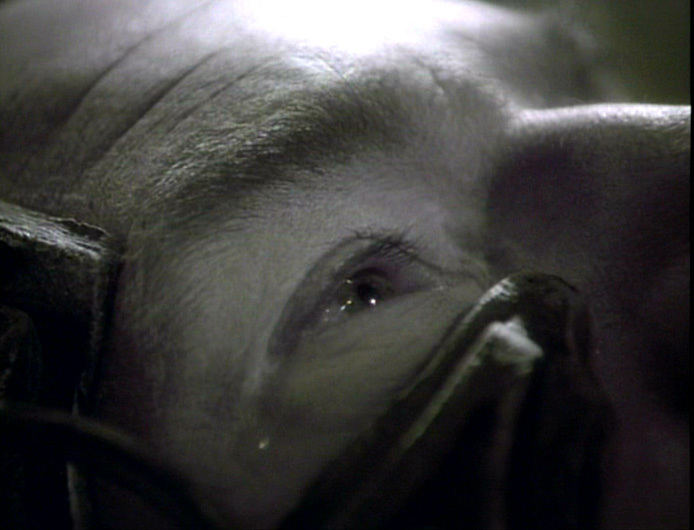 Enterprise has to head to a nearby starbase for emergency medical treatment, or Willie Potts might die; meanwhile, he remains in quarantine in Sickbay, utterly inconsolable. 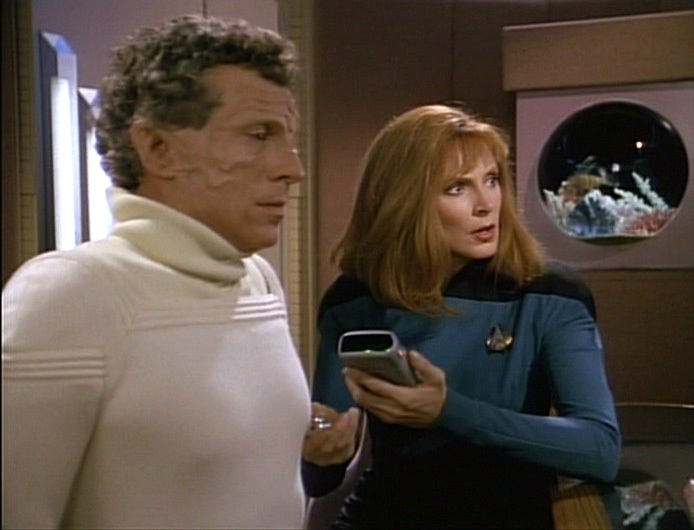 In the midst of comforting Jake, Data abruptly loses interest in the B-plot of the episode and tunes out, running through the next few scenes literally on autopilot. 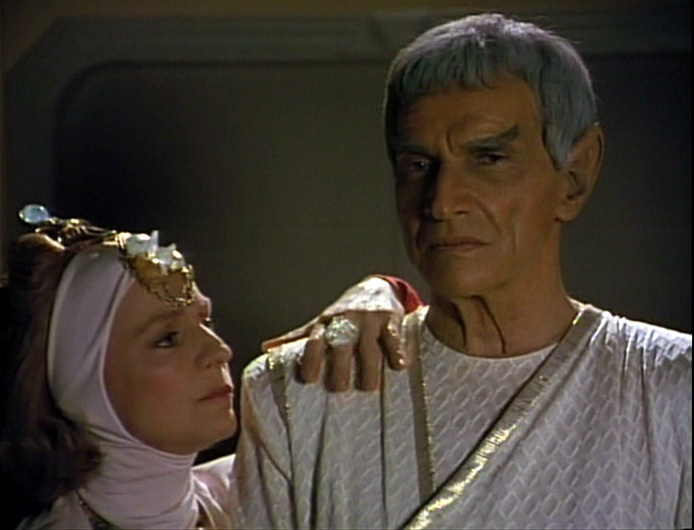 Mr. Worf fires… And not a heck of a lot happens. That’s embarrassing, but it can happen to anyone. 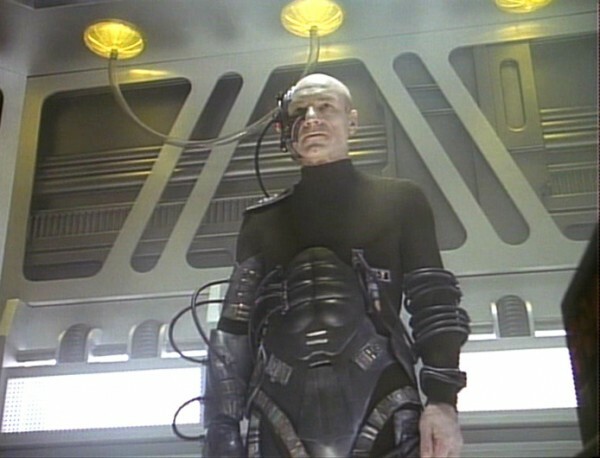 In fact, they don’t even scratch the Borg cube, but Enterprise sustains damage from the massive power drain; Locutus’ knowledge of Picard’s former ship and crew has prepared the Borg to deal with them. Deeming the crippled Enterprise unworthy of further attention, the Borg vessel resumes its course for Sector 001 — Earth. 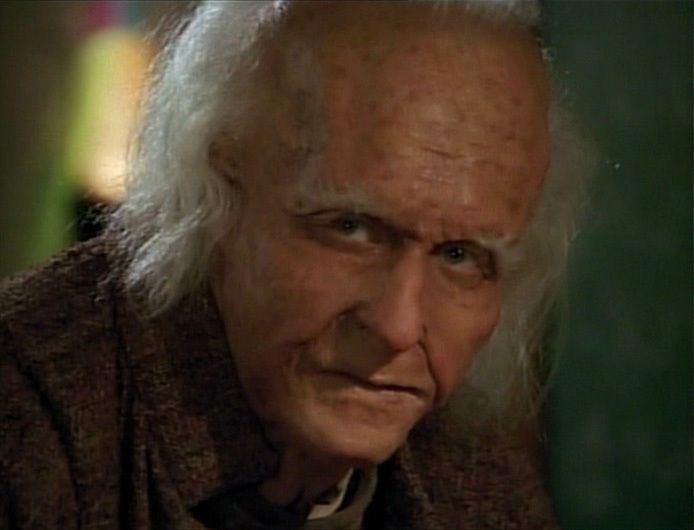 Has TNG finally emerged from its turgid first few seasons? I think our ratings speak for themselves. Worf encourages La Forge to hit on a woman in Ten Forward, in the only way a Klingon can, but the awkward engineer crashes and burns. And he’s not the only one: In the course of a routine charting assignment, Enterprise has detected a crashed vessel on a planet. They investigate and discover a lone survivor in the wreckage of an escape pod. He’s in pretty bad shape, too unstable to transport, so Dr. Crusher whips out a thingey that links La Forge’s nervous system to help regulate the patient’s heart. 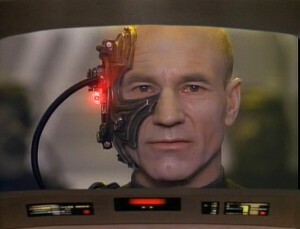 The interface delivers a weird little shock to La Forge, but he seems fine, and it works. They bring the injured man aboard. Picard and Riker are giddy to be hosting a very special guest: Ambassador Sarek from Vulcan, who will be presiding over the first meeting and negotiations between the Federation and a race called the Legarans. Word is, the 202-year-old Vulcan will be retiring soon after, leaving this as the crowning achievement to an illustrious career.